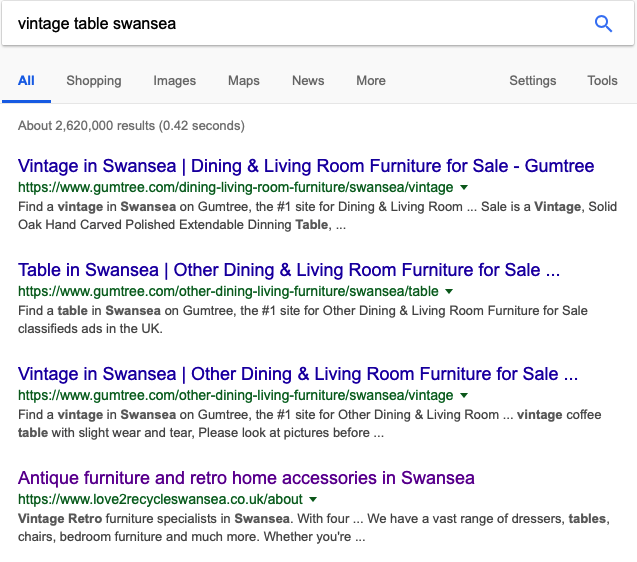 Criteria: What makes a business ideal for the Swansea Businesses SEO and Marketing case study? The city of Swansea is growing in reputation as a thriving Tech Hub. More and more businesses are coming up as a result of a growing community and a startup culture. 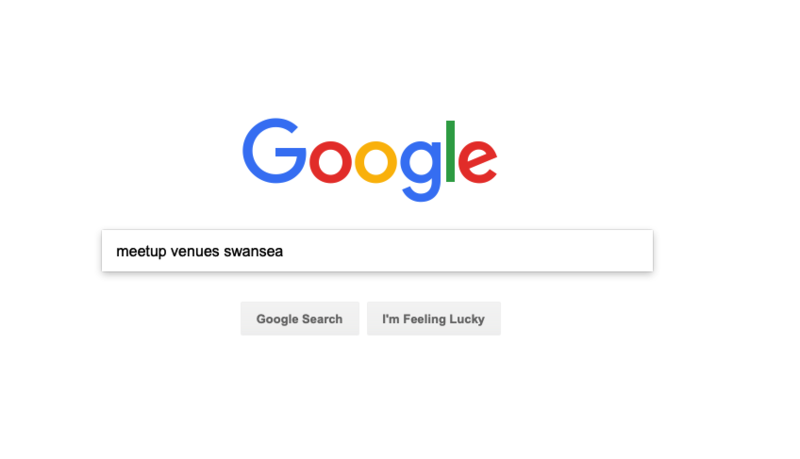 This is a great time to do a Swansea Businesses SEO and Marketing case study. This would consider what they are doing right and what/how can they improve. If you like the content on here and would like some copy created for you, get our copywriting services. There are thriving meetups springing up in various parts of the city. With the growth of the university in size and ranking, a better crop of students is increasingly being attracted to the city. As a digital marketer, my question is, “Does this currently translate into good online presence?” Most will wonder why this matters at all. The best thing about the internet for tech companies and some brick and mortar businesses alike is that, they don’t have to be confined to doing business locally. Their clientele can be from other cities and all corners of the globe. Are your potential clients finding you when they search for the services that you offer? The only way to find out is by doing an extensive research of as many businesses as I can. This research will focus mainly on tech businesses, without completely neglecting local brick and mortar businesses. It’s a work in progress, and will be updated as we analyse more and more businesses and add them to the list. The plan will be to do about 5 businesses every week. That’s one business every working day. Location is an obvious starting point. It is essential that a Swansea business be based in Swansea. I’d expect that to be a no-brainer. 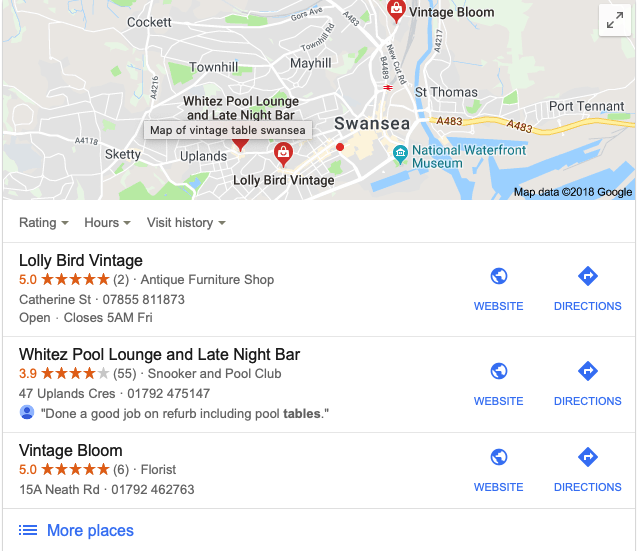 There are cases where a business may service the Swansea area but not be based here. This is not what we will be considering in this case. Another important component to this is that the business is still in business. It would be futile and a waste of time to consider businesses that are not providing the services. One of the reasons for this is that their marketing efforts would at that point be either non-existent or passive. Neither of these is a good thing. Does this business have potential to grow? 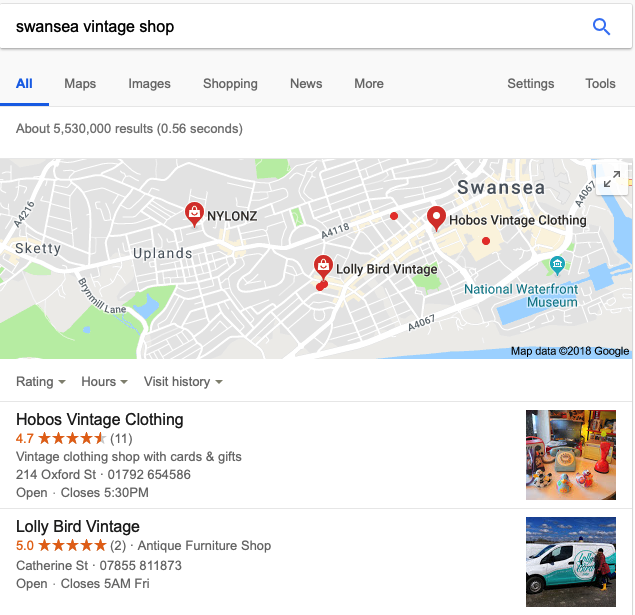 That is also something that we would look at when considering whether or not a business is one that should be included in the Swansea Businesses SEO and Marketing case study. To determine whether or not we think a business is scalable, we would look to figure out their main source of clients. Once we have found that out, we consider if there are other avenues of marketing that would reach a difference demographic group. There are businesses that may have reached their absolute limit. For instance, a bakery in a local area that sells out all the baked goods that they are capable of producing, may have reached their limit. To grow this, they would need to enlarge team or location. Size of market would consider possible user base, based on population and other such metrics. How many people could potentially use this service. This is not an exact science. For instance, if we consider meat consumption. There would be variables such as vegans and vegetarians. The size of the population that would fall into non-meat consumers would likely be an estimate. Based on an assumption that the business in question has a live website. We would consider their traffic. How many people visit their website monthly? We would also consider the keywords that the website is ranking or targeting. This would allow us to see whether or not the business is living up to its full potential. Most businesses have the potential to grow outside of their community, unless of course they are a local brick and mortar business. A key metric to measure is whether or not a business can still grow locally. How many more people can it potentially reach who would consider a purchase from your business? I’m sure you are somewhat unique as an individual and as a business. However, history tells us that we ought to build on the foundations of others. We are to improve on what others have done, as well as create new things that are unique. A key component of most successful marketing campaigns is understanding who your competitors are and what they are doing well, what they are not doing well, and how you can improve on it. How is your competitor’s website structured? Beyond the obvious visuals, a look at their sitemap would also help. Consider your competitors’ social media activities. Where are they active? Do they seem to be making traction on those platforms? How do they compare to your business in this regard? Consider other keywords that your competitors are making use of. Are you targeting these as well? Are there others that you have yet to consider? Our quick win recommendations will simply look at the first thing that we would look to do if we were working on a marketing campaign on behalf of the business that we are analysing. Long term strategy will look at what you would hope to work towards going forward. I recently started hosting a meet up. One of the key things to consider is where to have these meet ups in Swansea. My house is an option to start with. However, the downside is that you are bringing strangers into your home. So a neutral venue is a wiser option. How do we go about finding one? I would start by picking the things that are important to have at a meet up of this sort. These are definitely not the results that we are looking for. Logic would tell us that, this is not the right search term for what we are looking for. 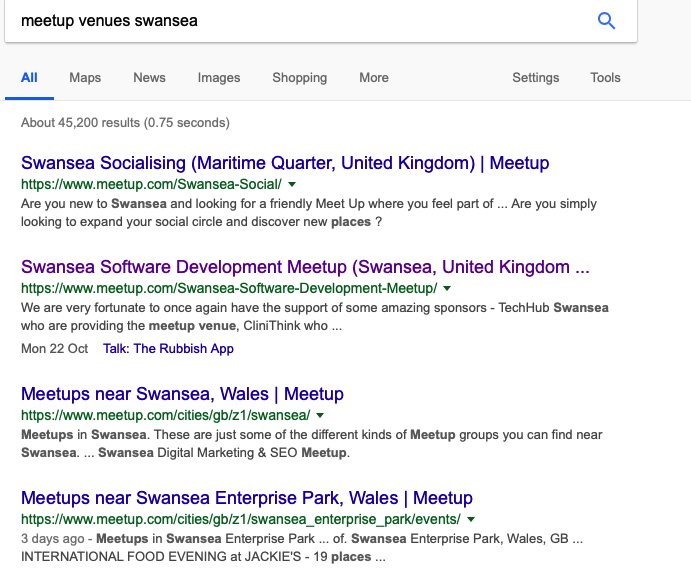 There are two ways that I would interpret this if I was doing keyword research for a business that offer a “meet up venue” in Swansea. Firstly, I would consider how many other people would be using this term to look for the same thing that I was. If there are a few, then this is a term worth ranking for. It would also be worth considering how the business we are marketing can be better tailored for providing the service that we looking to rank for. Perhaps the word meet up threw the results off a little. Most of the results were from the website meetup.com, so we got rid of the word at the start off it. The results improved, based on the Map Pack. However they were not what we were looking for. We are after the opposite of the sort of venue that Sin City offers. Ideally, our meet up would be a quiet one, that serves food and smells good. Their food looks great, the have wifi, and perhaps not the projector. Another venue that we have previously used is the Pub on the Pond. Unfortunately, they are no where to be found in the search. They should certainly be looking at how they can make it known that they offer this service. First thing I would do is get a branded domain name for their business. This would enhance the control they have when it comes to making changes to content and site structure. Not to mention the added professionalism that having your own website provides. It doesn’t cost much, so there really isn’t an excuse to not have a website with your own domain. Part of marketing is inspiring confidence in those who are considering using your services. In person, you may be able to seal the deal, your services may be incredible, but what does your online service say about you? There is an absence of branding. The logo is placed at the lower part of the page, and I missed it to start with. Once you get off the screen, what is memorable to the visitor? Branding done right would allow visitors to remain mindful of your services after they have left your pages. Get a domain and your own website to add to that branding. The copy isn’t great. It needs to be more conscience and have clear call to action. The tag line ought to be more descriptive of the services offered. Serving modern life could apply to businesses in various sectors and industries. There has to be a better way for this to be put across, especially for an English education provider. You are judged on how you string these words together. Granted, you need a branding person to do some of these things, which is a luxury that startups may lack. So, English Any Time are doing very well ranking for one of the keywords in the maps pack. In a space where you are competing with Swansea University, you want to drive home any advantage that you have. 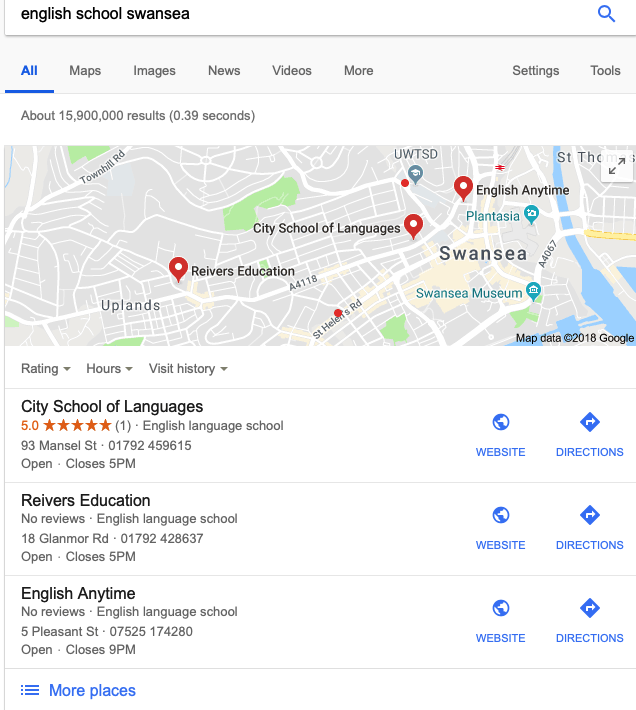 City School of Languages seem to be above based on having a review and a branding domain name. Everything else looks identical at face value. English Any Time should encourage their clients to leave them reviews. If they lead on Maps pack and add a personal website to it, I think they will kill it. I wasn’t able to identify one main keyword driving the most traffic for similar businesses. The competitor’s web page hasn’t got much text. SEMRUSH doesn’t have much information to add to this either. This one is close to my heart. 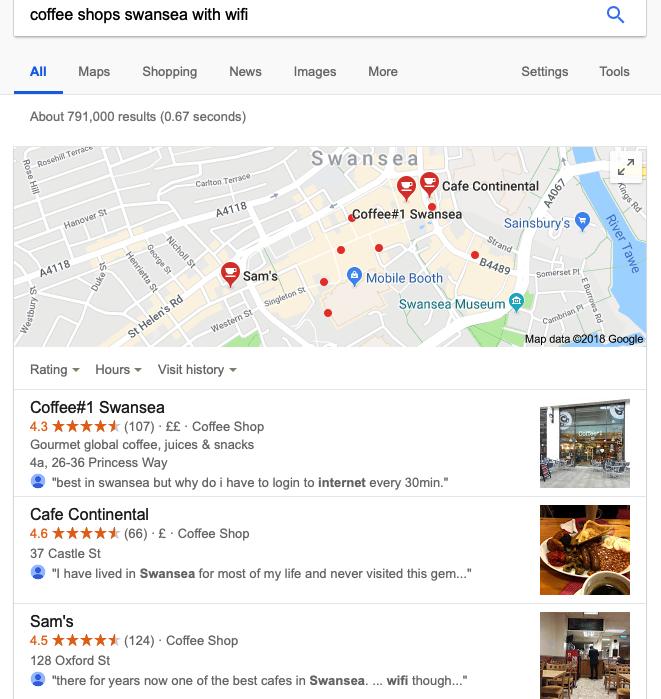 They simply could not be missed out in our Swansea businesses SEO and marketing case study. These are the guys who gave me my first student accommodation. I stayed in their property throughout my undergraduate years. They are not perfect, but, they are not too far from it. Looking for them using the keywords that I would use when searching for their services proved quite difficult to achieve. Semrush shows that they have barely done any on page or off page optimisation to their website. This is a review that is on their website. It almost sums up my experience with them as well. Almost, except for the fact that I actually didn’t have much of a condensation issue after they gave me a dehumidifier. And spellings would be slightly better. They have two domains joint through a 301 redirect. Noting that neither domain name is particularly authoritative leaves me wondering why this was done. The first thing that I would recommend is that a blog is created on the website as a way to increase keywords that can be targeted. 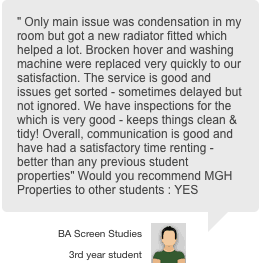 These could be done in the form of reviews and descriptions of properties that they manage and have on on the market. Get Map listings for offices and any relevant locations. The total volume of the top 10 keywords that they could target are shown above. The key word difficulty is one that would deter most. 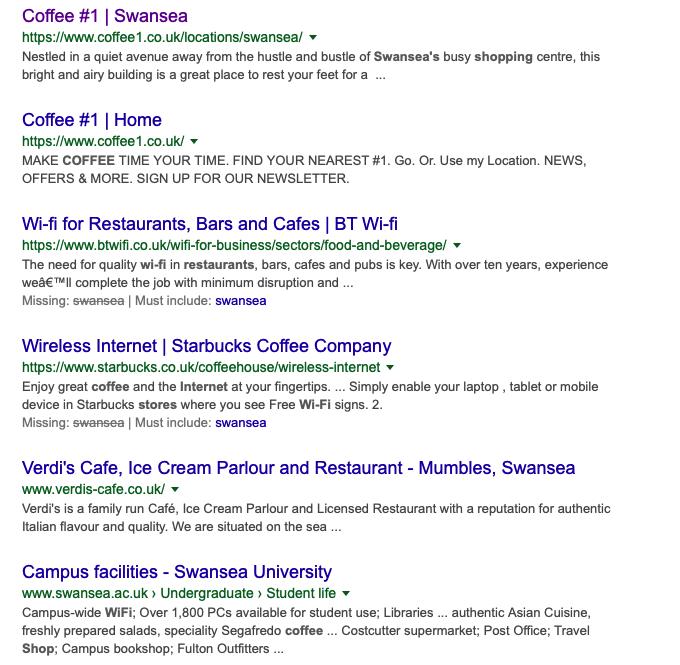 In this case this is slightly different because, our competitor : https://www.padsforstudents.co.uk/student-accommodation/swansea/ is not particularly flying with these keywords yet they are driving a reasonable amount of traffic to them. Further research should unearth some easier keywords to create targeted content for. This is probably my favourite project in Swansea. These guys are incredible. They take bikes that would otherwise end up as landfill and put them back on the road. They partner this with a program that allows volunteers to come in and learn to repair bikes, in exchange for that time they get to take a bike away with them. I have volunteered there, and bought a bike from them as well. It’s also a great place for international students to learn a new skill, improve language and just be part of an awesome community. I offered to do their online marketing for them a while ago, but never got to it. So, I will look at what I would actually do. Did I mention that they are a non-profit? There is a lot of room for growth here. With the dual campus and increased student recruitment, there will be more need for bikes. As you can see above, they top the maps pack for “second hand bike Swansea“. They also appear to rank 9th in the SERPs for the same term. They are on a “.wordpress” TLD, so there are obvious limitations to how much they can improve on page issues, if those are present; which of course there are. 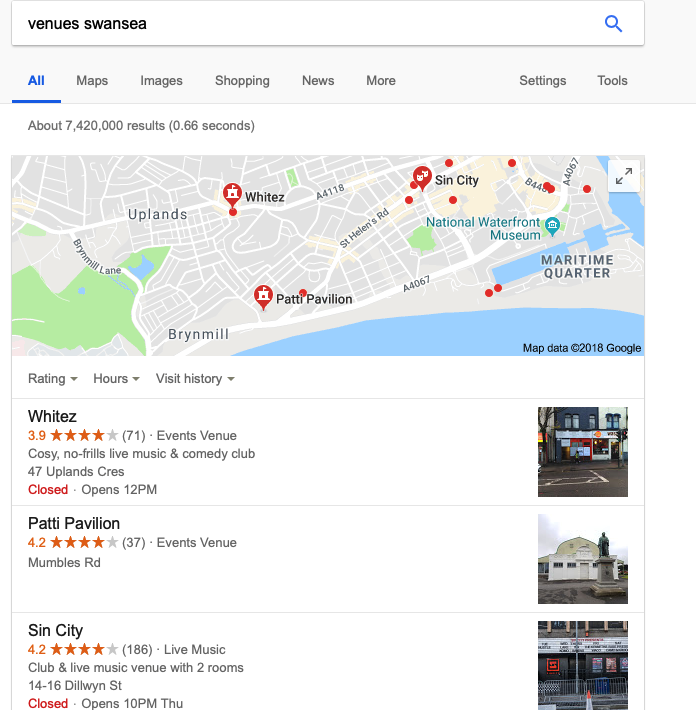 The SERPS are heavily populated with classified sites, which would lead us to believe that a local business would outrank these with a little effort. A local branded TLD domain (.co.uk/.wales) would give them a leg over. Revamp the webpage layout. User experience would improve by better placement of images. They have great content, videos and photos that need to be better presented. A blog would go a long way here. This is a great cause, one on which a community can be built online. An online catalogue of the bikes currently in stock would also go a long way. Perhaps even introducing a reservation/purchase option on the site. 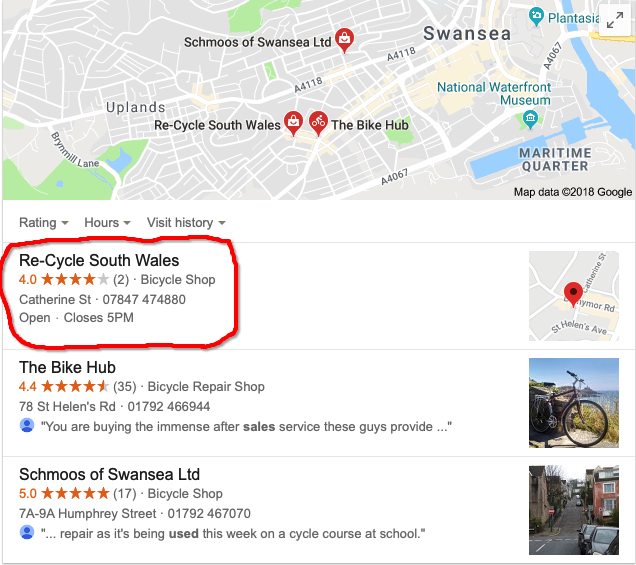 These guys: http://swanseabikeshop.blogspot.com/p/second-hand-bikes.html, rank one position higher for the keyword we considered. Their URL is optimised for that keyword. Re-cycle South Wales should consider doing the same thing. They would create a page to target that specific keyword. The Navigation menus displayed above are from the two competitors. Recycle have their page as well as navigation menus in both English and Welsh. Kudos. Their competitors have more options on the menu, which would certainly enhance user experience, making it easier to locate things. Above are some keyword ideas that they may consider making use of. These are words that show buyer intent. People searching for these are looking to spend some money on bikes. They should spend that money with a great cause such as Re-Cycle. The difficulty of ranking the keywords above ranges from 27-48. Some are easily attainable, especially considering the competitors’ pages. The lower end of that spectrum would be a great starting target. A bit of a back story on this one. I bought some surplus goods in an auction, as you do. Found that I didn’t need any of these. The vintage looking ones were very niche specific, and popular in France and Belgium. The UK wasn’t buying these off me. While doing a post office run, I walked past a shop I had seen a few times but never gone into. This time I went in; with questions about my product. Enter Lolly! In front of me was this incredibly beautiful lady. The store is a wonder in itself. Presentation was perfect. Customer service was great. Why had no one told me about this place? She does most of her marketing and makes most of her sales through Instagram. I ended up purchasing a tie-pin to wear to an awards dinner. Thanks, Lolly. Publicity on other website already! I could never overstate the power of a website that you have complete control over. I know Lolly is doing well with her business and travels across the country extensively to source the wonders that she displays, so growth may not be top of her priorities. Imagery is important to what she sell, so perhaps her website would have a layout similar to instagram (photo-centric), with pages for blog posts of her many adventures. As previously mentioned, she’s no melon. For one of the main keywords, she ranks second in the map pack. Curiously, the other vintage shop is mainly clothing, which she is mainly furniture. That’s a light bulb moment for marketing. In terms of SEO I would go a lot more niche specific from category and even individual products that I would include. This is where a blog/personal website would come handy. She could build niche/product specific web pages. This is an example of product/niche specific SEO yielding better results in the maps pack. She ranks first for “vintage table Swansea”. Now consider just how many more similar terms could be targeted. Another thing to consider is that the maps pack is doesn’t rank top of this page. Which again, highlights to importance of a personal website. Gumtree is top of this page, above the maps pack. Another competitor’s site comes just below (love2recycleswansea.co.uk). This came up in conversation fairly recently so I will include it here. The PGCE course that University of Wales Trinity Saint Davids offers places them well in the sense that they do not have to compete with Swansea University for students with interest in this. UWTSD were recently at a Careers Fair at Swansea University which makes it very clear that they recognise that Swansea University presents a great recruitment opportunity for this program. Careers Fairs are one thing, but how else could this be marketed to target Swansea University students as well as other residents of the city? I have marked up the document above to make my explanation easy to follow for the novices. The letters A-D have been used to highlight key things within the image. 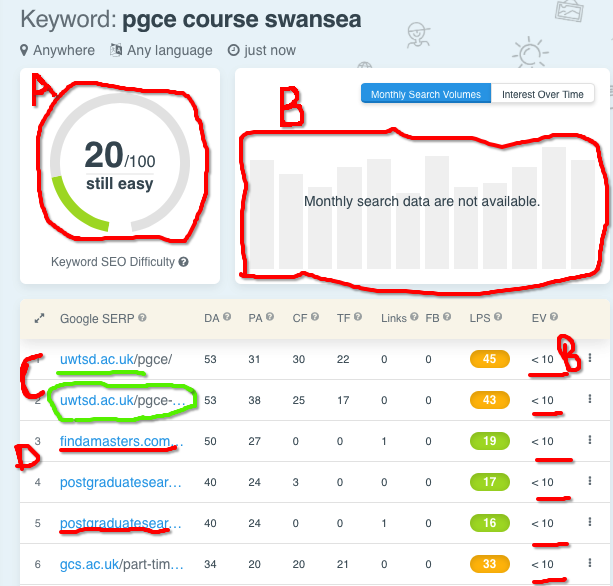 A – The keyword “pgce course Swansea” is relatively easy to rank for, with a difficulty of 20. Anything up to about 35 is usually a reasonable goal to rank for. B – Unfortunately B shows us that this particular keyword drives less than 10 visitors per month to the top ranking sites. C – UWTSD ranks first and second for this keyword, which means that they get the lion share of any traffic that trickles through that keyword. D – The other websites that rank for this keyword give that idea that this is something that graduates look for. So going forward you will be looking to target more postgraduate targeting keywords. Extensive/Exhaustive keyword research to rinse out all possible opportunities of traffic that could be targeted from organic content. Creating blogposts targeting keywords from this extensive/exhaustive list created. While SERPs work their magic, PPC would be a good way to start. Building a funnel through Adwords and Facebook Ads. The starting point would be students graduating soon, those who would be looking at their next step. With the data UWTSD already has, they would know what courses most of their PGCE students come from. Target students who are about to graduate from those courses at Swansea University. Another seed keyword to consider would be “teacher training swansea”, which UWTSD are ranking well for. It has an average of 30 enquiries per month. There is clearly greater search volume with this seed keyword. I have bloated out the results that are irrelevant or not targeted enough for the audience that we are looking for. Targeting the ones that we have left unbloated would potentially yield 1500+ visits a month. A blog post about pgce entry requirements that could then be promoted through PPC and Facebook ads to a custom audience would be a great start. There is not much competitor analysis to be done in this case. UWTSD are at the forefront of the market in the Swansea area. The aim going forward would be to increase their reach to bring in a wider audience. 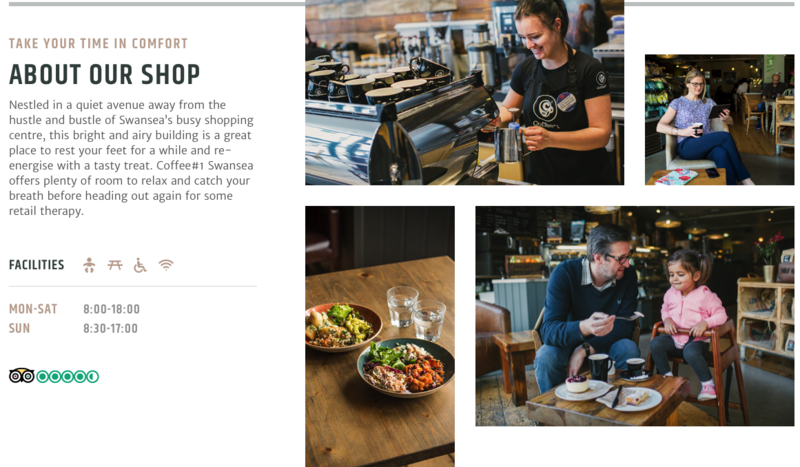 Creating targeted marketing beyond the city of Swansea. Where else could they be bringing in students from? A marketing plan for SEO and PPC would need to be developed in collaboration with them, as they would have the sort of data that would be integral to making good decisions for this.